I was actually slightly underwhelmed by the this year's Golden Globes red carpet looks overall, but I did find and pick out 10 of my favorite and thought I would share it with you guys. 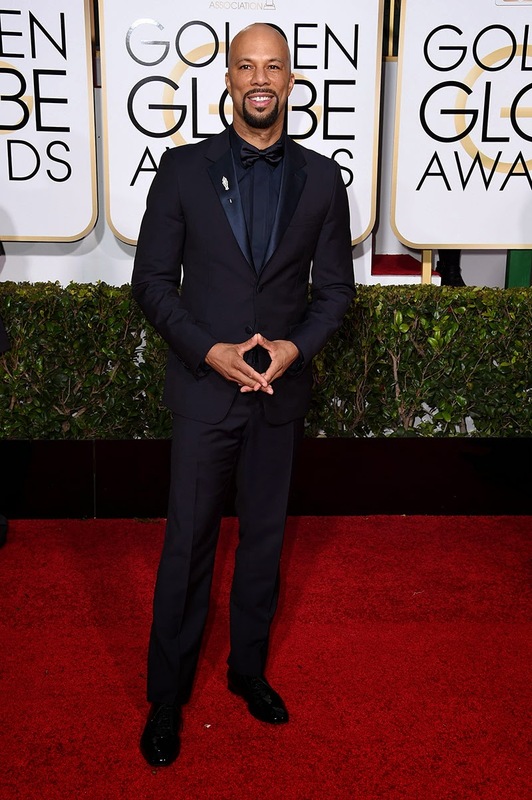 And the best dress male of the 2015 Golden Globes goes to ... Common wearing Prada. 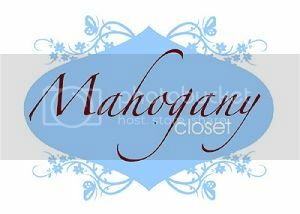 There's nothing like a well dressed male. I don't love this dress that Jane Fonda is wearing, but it fits her body like a glove. And any woman who can look like this at 77 years of age deserves big kudos, applause, and everything else in my book! 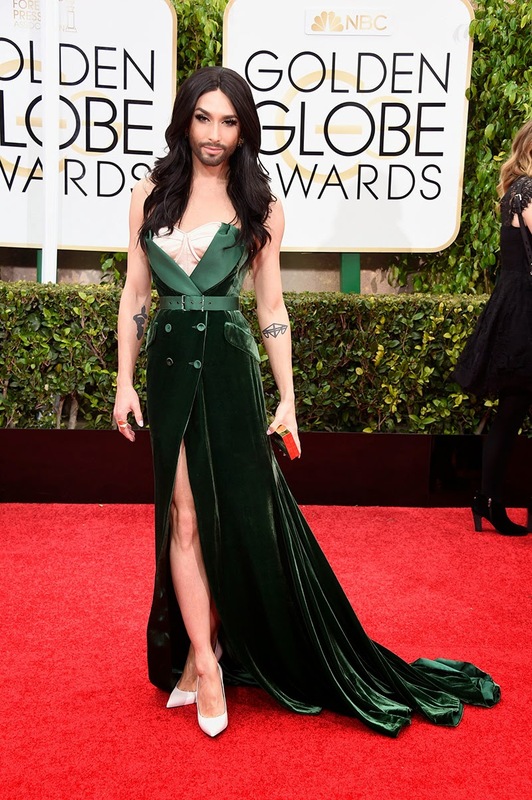 So again no my favorite dress but I had never heard of drag queen Conchita Wurst before this red carpet. Her mix between soft beauty and masculine beard and tattoos is genius and has me kind of obsessed with her. 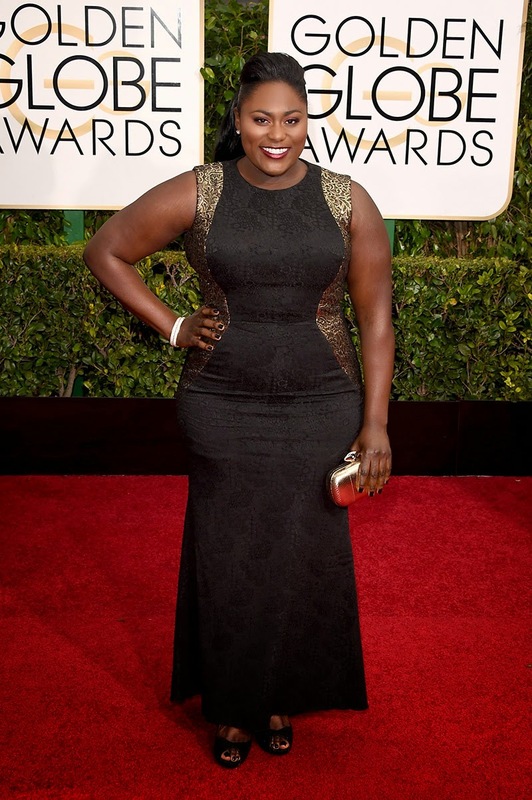 Had to give a shout out to my fellow thick sista Danielle Brooks. 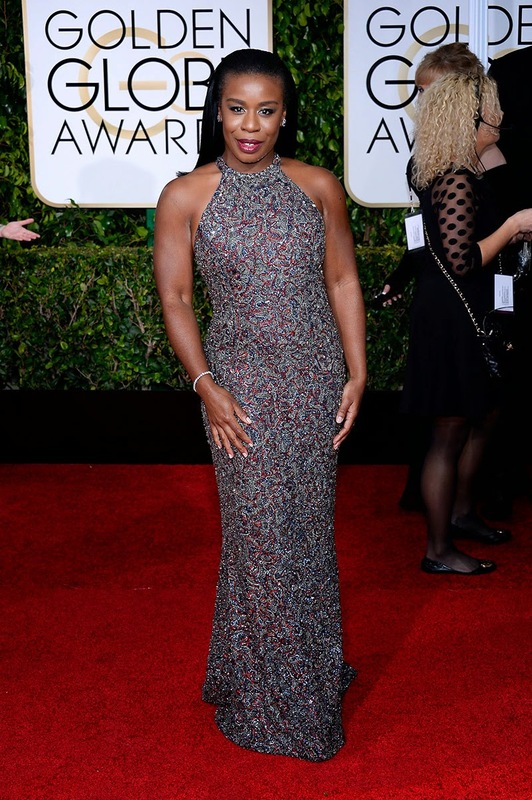 I almost didn't recognize her from Orange is the New Black. This dress is about half a size too small and a couple inches too short but she still looks beautiful. A good stylist should have fixed this for her, but it's apparent that most stylish in Hollywood seem to have no idea what to do with thicker women.